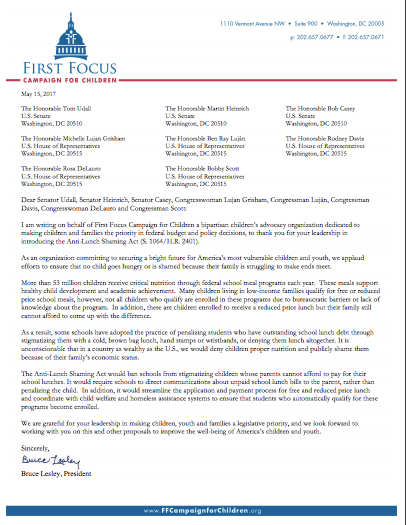 On May 15, 2017, First Focus Campaign for Children sent a letter to the lead Congressional sponsors of S. 1064/H.R. 2401, the Anti-Lunch Shaming Act of 2017. 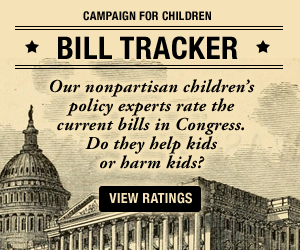 This legislation would ban schools from stigmatizing children whose parents cannot afford to pay for their school lunches and require schools to direct communications about unpaid school lunch bills to the parent, rather than penalizing the child.